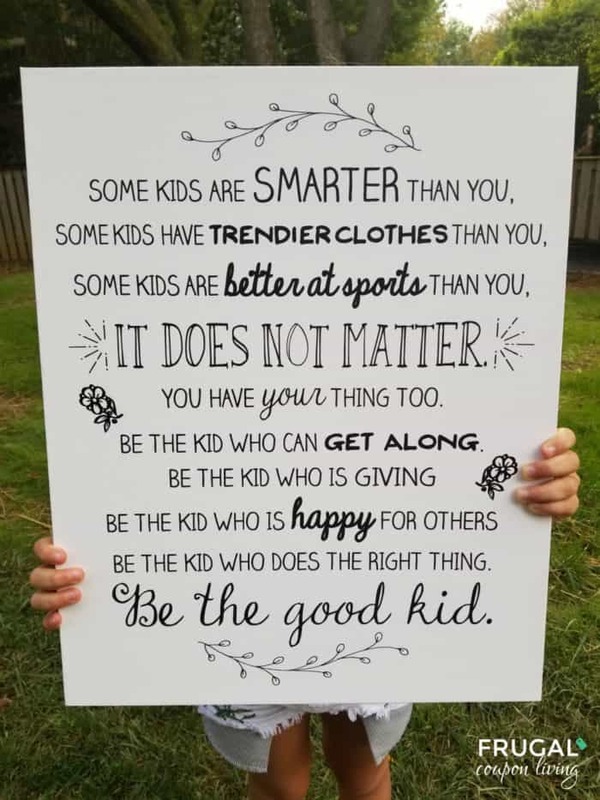 Be the Good Kid Quote. We turned one of our favorite quotes into a Canvas for under $20. Inspirational quote for girls and boys turned into DIY bedroom artwork – no canvas or paint required! I have so much I want to teach my girls. I think of the most random “lessons” I want to share with them, but something makes it not the right timing. I quickly retain those ideas in my head and often they get buried beneath mundane day to day information. Recently, I have found the best way to inspire my girls is through quotes that lead to their own self reflection. I have them read a quote, think about it and then we discuss it. This gives them ownership in their own beliefs without me instilling my own ideology in their head. So this craft project actually took no supplies. I am not joking. Using my computer mouse and keyboard, I created this DIY canvas online… you guys it was ridiculously easy! 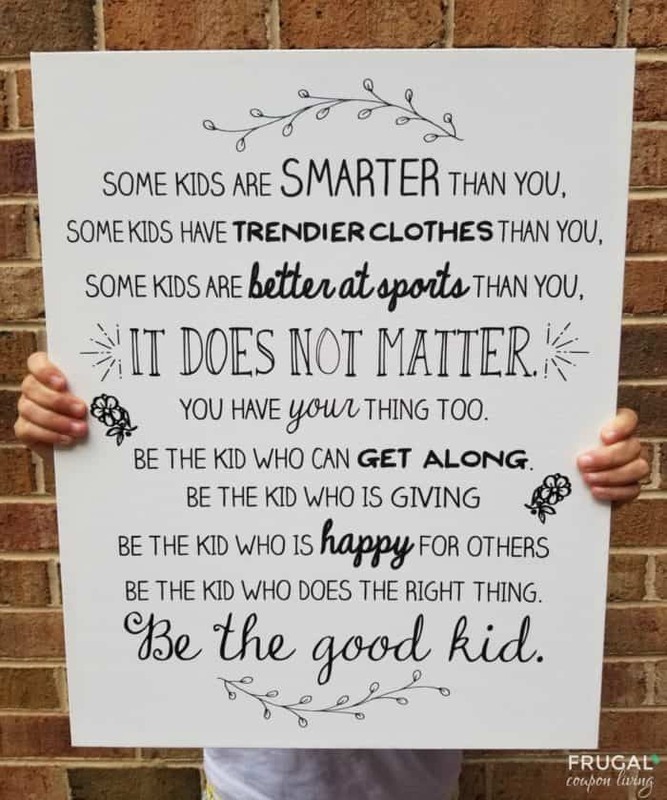 First, I ordered this Be the Good Kid Quote online on Etsy. This was an instant download so as soon as I made my purchase for under $5. I paid $4.99 to be exact. This is the only “supply” you need for your kid’s quote project. Tip: If you cannot see your download after you purchase, go to purchases and reviews under your account. From there, find your purchase and click Download Files. Once you have downloaded your Be the Good Kid Quote you will want to purchase a discounted canvas voucher online. One of my favorite places to purchase canvas prints is on Canvas on Demand, Canvas Champ and Canvas People. I normally take a look at Groupon to find a discounted canvas voucher first. I found this Canvas on Demand Groupon Voucher, one 16×20 Canvas Print for $15. I doubt this price/voucher will last – so get it while you can! Tip: This PDF printable from Etsy is 8 x 10 inches, so you want to order a canvas size that will fit. Order an 8×10 canvas, 16×20 canvas, or anything with a ratio of 4:5. After I purchased the voucher, I went to my Groupon account and under my account chose My Groupons. There you can get your unique promo offer for your free canvas (you have already purchased it.) Follow the directions on your voucher. On the canvas merchant page, you will upload your Etsy download (instead of a photo.) Your canvas will arrive and look like you hand lettered it yourself! What a creative way to place some inspiration in your child’s room. Remind them to be the good kid. 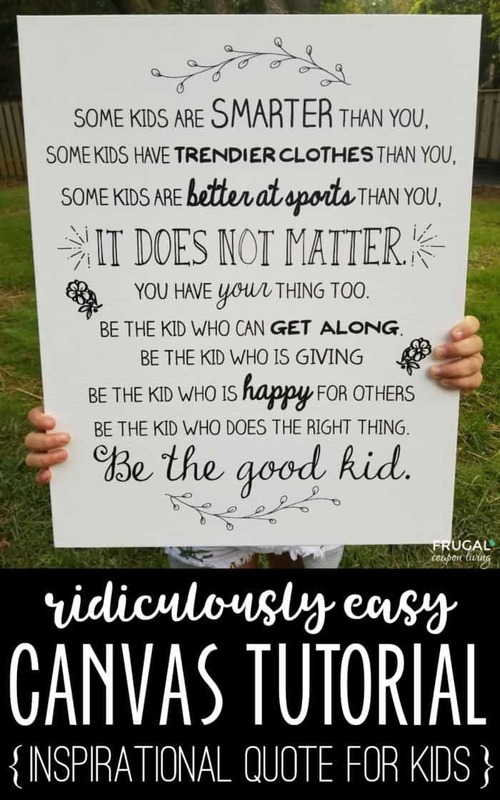 Remind them to be the kind kid! Going to hand letter this on your own? 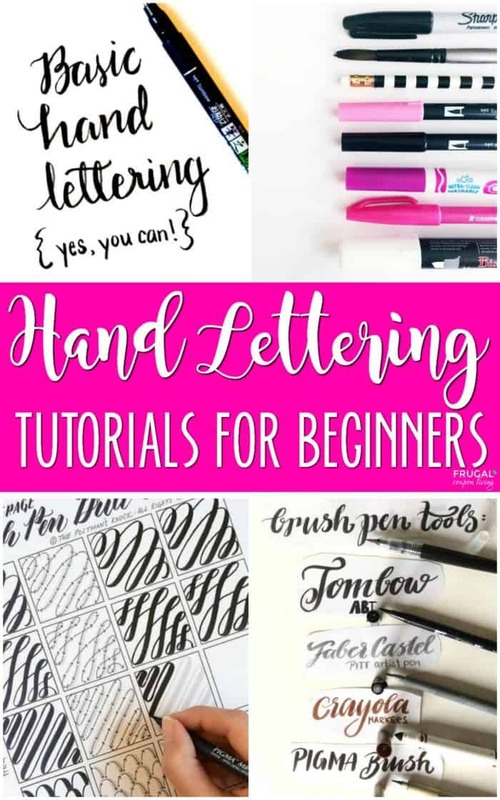 If you lack some hand lettering skills, take a look at this Hand Lettering Tutorials For Beginners. Pin to your Craft Board on Pinterest. 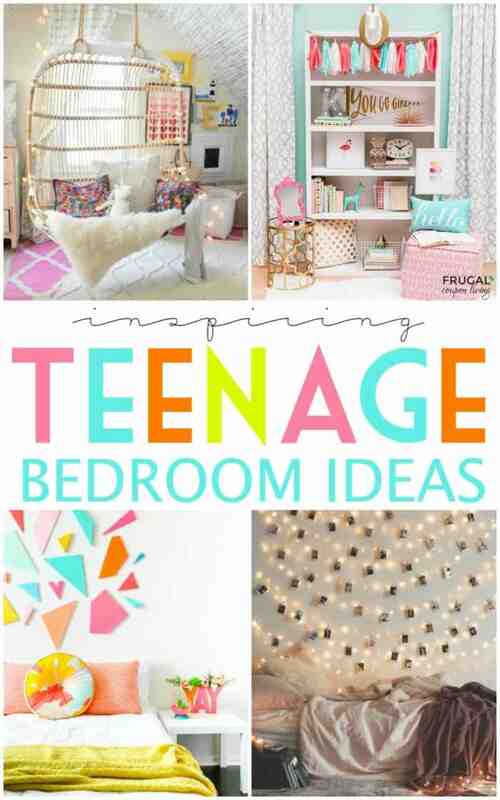 If decorating for a teen’s bedroom, take a look at these Inspiring Teenage Bedroom Ideas. Pin to your home and kids Pinterest Board.